The control of process parameters to customize a part has been a value-added ability related to additive manufacturing (AM). In this paper, parametric optimization of fused deposition modeling (FDM) process is performed using Taguchi design of experiments (DOE). 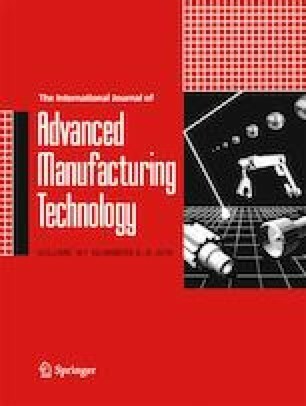 Two sets of experiments were conducted on an industrial case study from the aerospace industry to assess the impact of FDM process parameters: layer thickness, shells, infill pattern, and infill percentage, on the compressive strength of the case study. A generic methodology was also proposed. Analysis of variance (ANOVA) and signal-to-noise (S/N) ratio analysis were performed to evaluate the importance of experimental error, finding the optimal combination of process parameters for maximizing the compressive strength, and assessing the robustness of the design. The paper concluded with the display of results, discussion, and conclusions drawn. The authors would like to thank the Lorraine Fab Living Lab, Nancy, France for printing the drilling grids with PETG material.